For line markings in factory plants, carparks, and hospitals etc. For information line displays such as schools, hotels, train stations. Adhesiveness is weak. 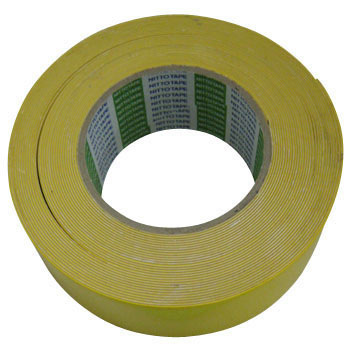 When it gets cold, the tape material itself becomes hard and curls itself off from the floor. There is a serious drawback that the sign does not last long. This review is about item#10695772. Because it was a thick type, I bought it for the first time with a backing paper, but as I was pulling the line, I was about to fall out with the Zulzuru and the center part, so the usability was not very good. I used it as a lane marker in the corridor. I am satisfied with the stickiness, but the raised part of the stairs has come off after a while. I fixed it with a stapler. This review is about item#2341281. It was able to be used without problems. There was not particularly improvement point. This review is about item#02341211. Because the line of the parking lot of the owning mansion was thinning. I got to this tape thinking variously. Easy, easy to work, looking good. After that, although it is durable, since the winter is long here, I do not know until spring has come, but if it is thin, thinking that it is better to respond with this tape makes me feel easy. The tape was glued temporarily, but I will soon make a melee. It does not become usable. Please consider sales. There is parking lot, but it seems to be for indoor parking lot and it is very weak for rainwater. The tape was hard and thick, floated with slight irregularities, and it did not adhere tightly. This review is about item#2341211. It seems to be unsuitable for irregular surface like tile. Water and sand enter from the recessed part, and the adhesive strength of the whole falls. It stretches according to the season, it improves necessarily because the edge comes off. This review is about item#02341297. Sturdy, it is safe to pass the car many times. (It is still a couple of weeks. Because it stands out, I am glad that you can see it with a little light.